Alex will deliver a speech on media in the age of populism in Taipei on March 10th, by invitation of the Fair Winds Foundation. As the founder and the former editor-in-chief (2009-2016) of the debate magazine The European Alex has become an astute observer of the European media scene and the debate culture it deploys. Alex will share his insights and put it into context with the rise of populist all across the Western world. 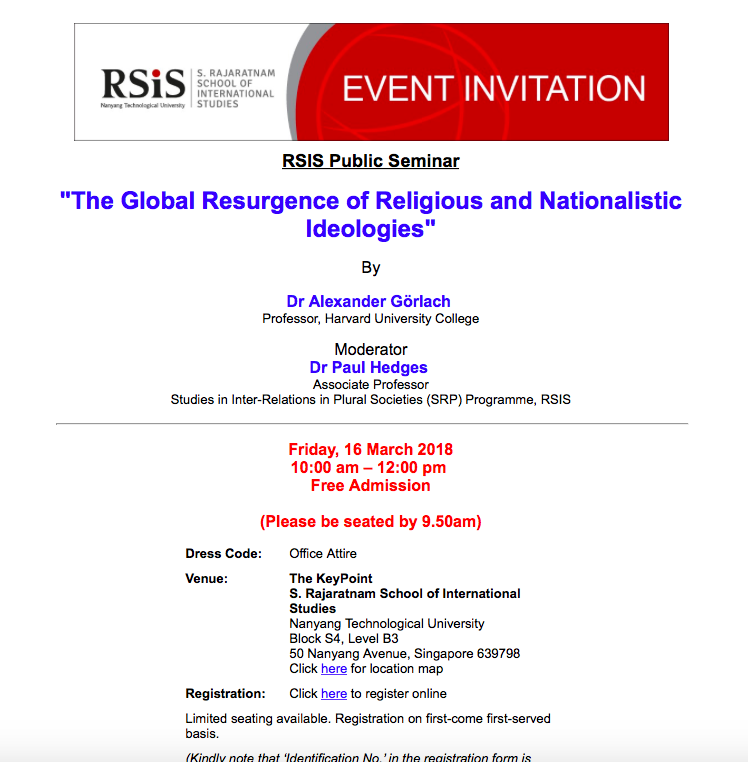 Alex will be delivering a lecture on politics and religion on the global stage on March 16 at the S. Rajarantam School of International Studies at Nanyang Technological University in Singapore. In this "Age of Identity", as Alex calls the current time, religion has re-entered the stage in all parts of the world as tool for division.